When a box full of Champagne turns up in the post, you know you must have done something right! We’re very pleased to announce that LogicSpot secured the 1000th recommended agency spot with RAR earlier this week! For those who don’t know, the RAR (Recommended Agency Register) is an online sourcing tool for marketing and procurement professionals. RAR gathers customer insights and key business information from thousands of marketing agencies to create a reputable resource for businesses to find the best agencies that will meet their goals. 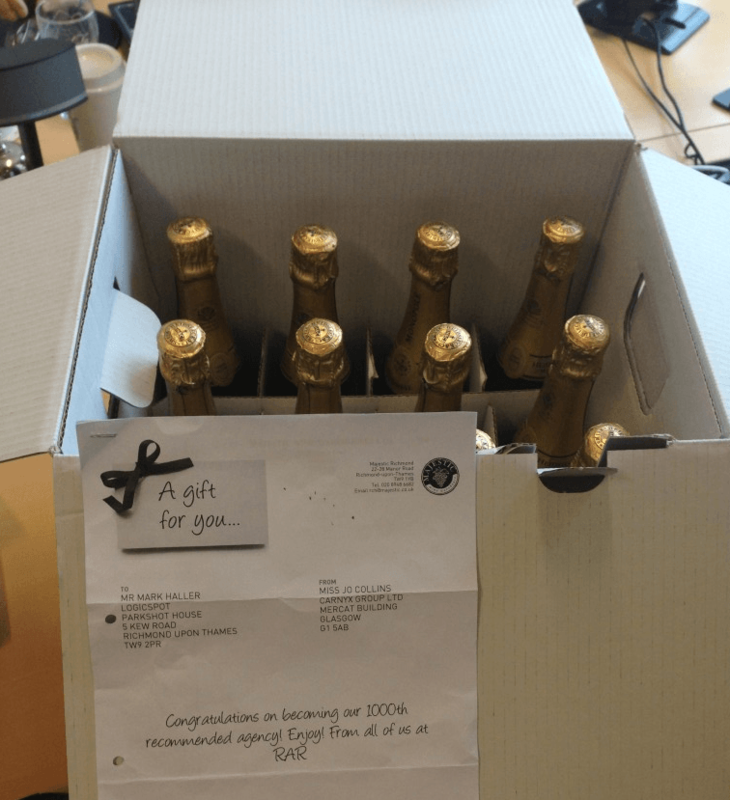 With LogicSpot’s proven track record of happy clients, there was no problem in sourcing the recommendations required to grab the 1000th spot on the register. Steve Antoniewicz, managing director of RAR said “To have a real specialist digital business like LogicSpot as our 1,000th agency also feels quite apt”. We’d also like to congratulate RAR on reaching this major milestone! We look forward to working with them and exploring the opportunities that will come from being a recommended agency with RAR. For more information, please read the supporting article on The Drum and also take a peek at our new profile on the Recommended Agency Register!